The new vineyard in Thermopylae was planted in 2006, replacing an ancient vineyard that sits on one of the best wine terrain in the area. The cultivation is strictly organic and is traditionally done by hand only. The red wine has a robust and full bodied taste that you get when you try it. 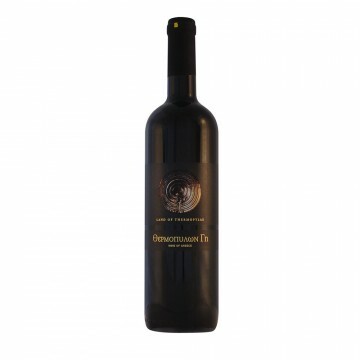 The wine has a unique registered label which is a reminder of strength and power. It's pureness allows you to enjoy it even in the middle of the day.